Goal Zero prides itself in making products for living off the grid, but their new Lighthouse 250 Lantern brings a little technology to your camp. 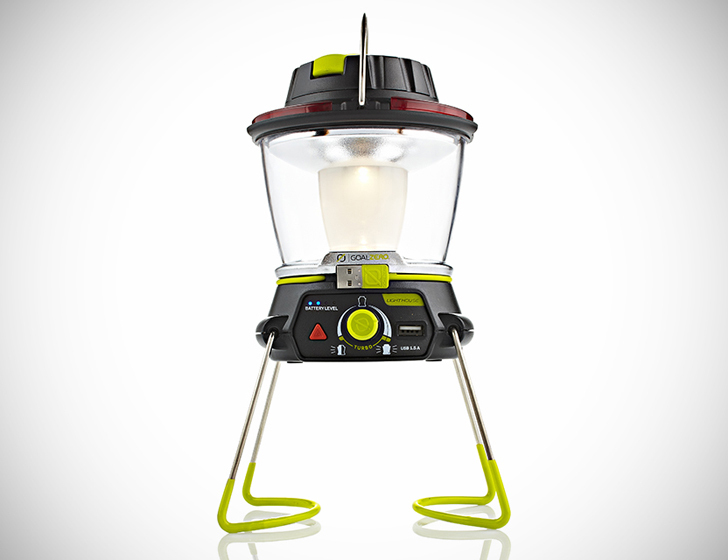 The solar powered lantern is equipped with a USB power hub, to keep gadgets fully charged while you relax by the fire. If you don’t have devices to power up, the rechargeable battery keeps the Lighthouse 250 Lantern aglow for up to 48 hours. The Lighthouse Lantern looks a lot like traditional kerosene lanterns, keeping the spirit of camping alive but with a modern sustainable twist. 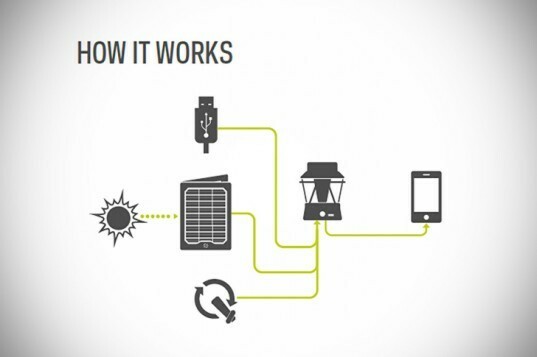 The lantern can power up all day with Goal Zero’s solar panels, or with the built in hand crank, which can be used when on the go or in the field. The 250 lumens are adjustable with a dial, so campers can not only control the brightness, but also be more in control of battery usage. For those outdoor adventurists that can’t totally rough it, the Lighthouse Lantern also doubles as a portable charger, with a USB hook up that can charge media players, smart phones, GPS gear for traveling and tablets, to bring a little tech to the wilderness. But users should beware, charging up your devices drains the battery much more quickly than just illuminating the lantern. The fold out hand crank can be used to manually charge the battery should your decision to Instagram your camping trip on your iPhone use up all of its power.